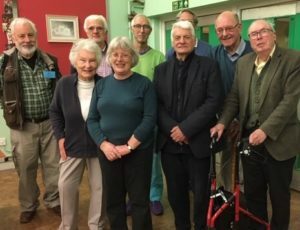 Named after the early twentieth-century Hitchin historian, the Reginald Hine Award was first proposed in March 1979 as an essay competition for works, in adult and junior categories related to the history of Hitchin. Each year, the best essay was to have received the Stanley Lee Hine Memorial Cup, donated by Stanley Lee. Subsequently, the basis for making the award has been widened to include the full range of activities encompassed by the Society. 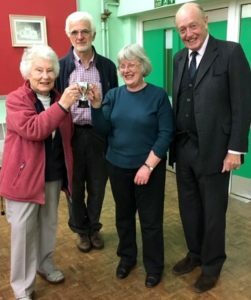 The cup is now awarded each year to a person or persons who, in the opinion of the committee, have made a significant contribution through their actions research or publications, to Hitchin Historical Society and the furtherance of the understanding of the history of Hitchin.